Tatlin's Constructivist tower was to be built from industrial materials: iron, glass and steel. In materials, shape, and function, it was envisaged as a towering symbol of modernity. It would have dwarfed the Eiffel Tower in Paris. 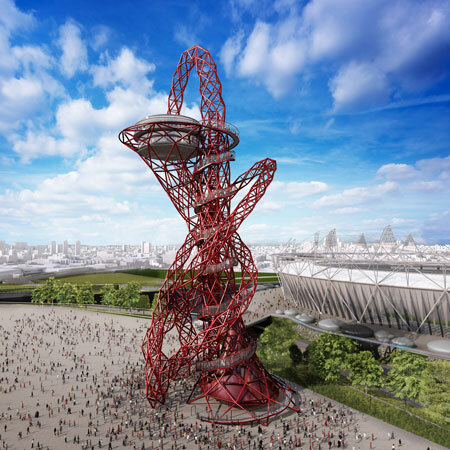 The tower's main form was a twin helix which spiraled up to 400 m in height, around which visitors would be transported with the aid of various mechanical devices. The main framework would contain four large suspended geometric structures. These structures would rotate at different rates of speed. At the base of the structure was a cube which was designed as a venue for lectures, conferences and legislative meetings, and this would complete a rotation in the span of one year. Above the cube would be a smaller pyramid housing executive activities and completing a rotation once a month. Further up would be a cylinder, which was to house an information center, issuing news bulletins and manifestos via telegraph, radio and loudspeaker, and would complete a rotation once a day. At the top, there would be a hemisphere for radio equipment. There were also plans to install a gigantic open-air screen on the cylinder, and a further projector which would be able to cast messages across the clouds on any overcast day.